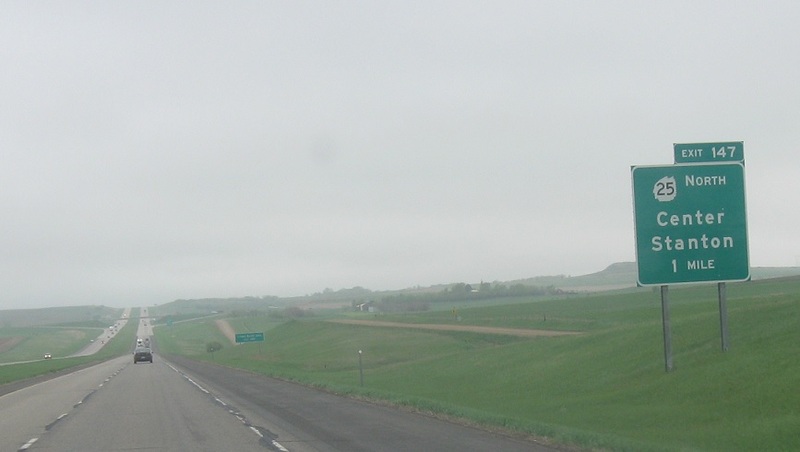 Just after the split, we’ll get this horrible ND-1806 shield that is tilted upwards for some reason. 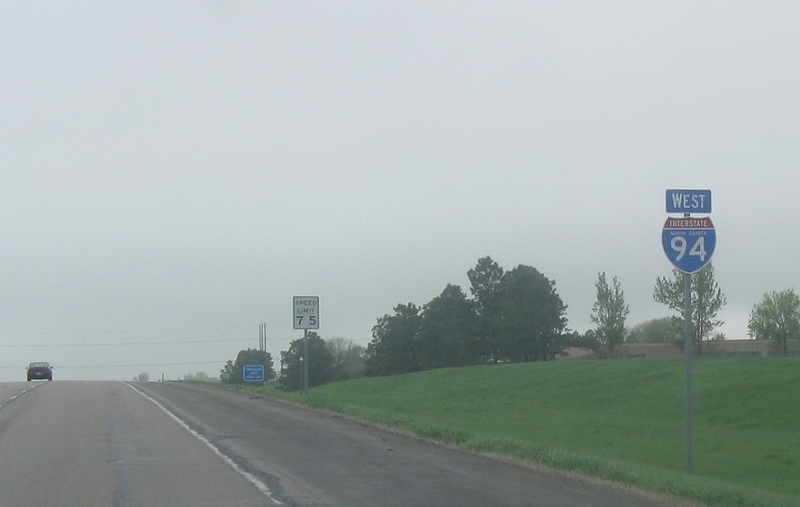 Exit to access ND-1806. 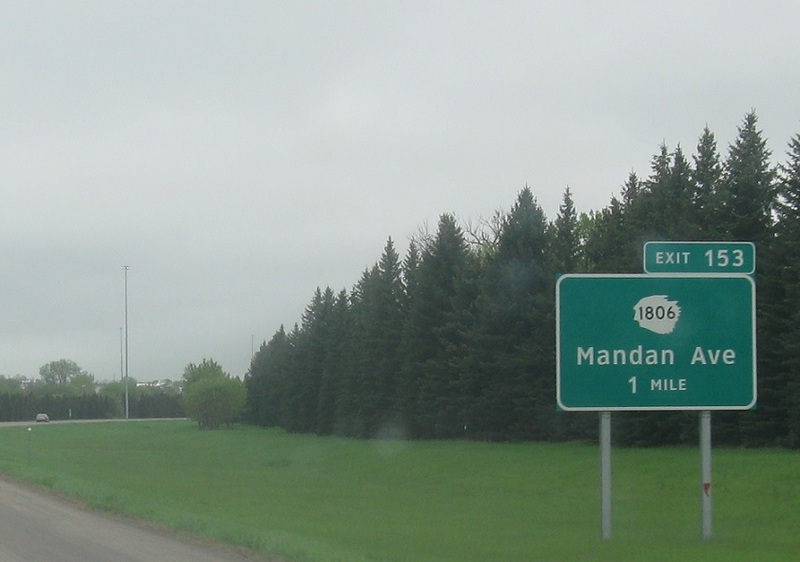 Mandan Avenue is not 1806, however. 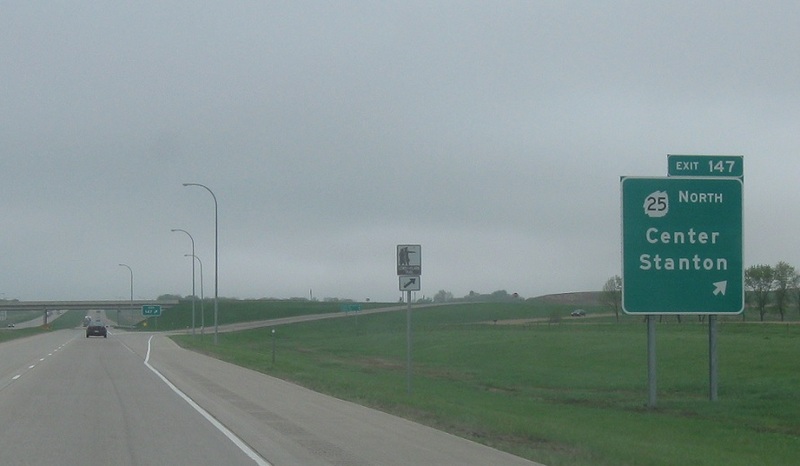 Reassurance shield after the Mandan Ave interchange. Reassurance shield after Sunset Drive. 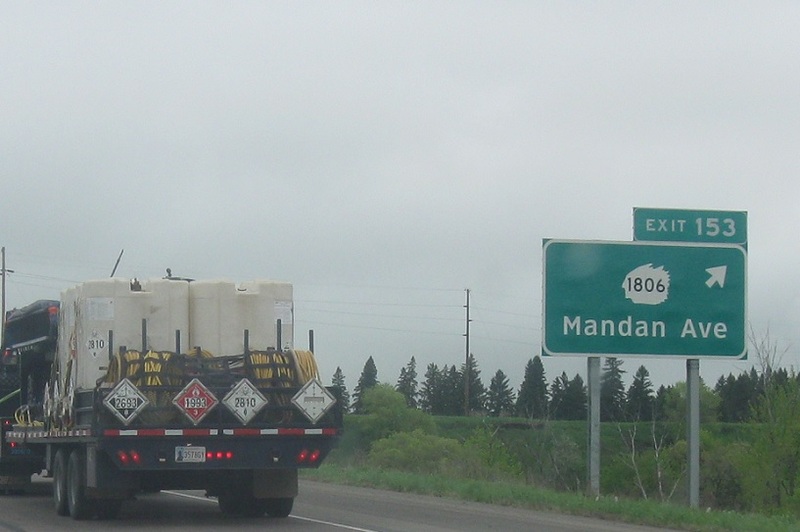 As we head out of Mandan, we’ll approach ND-25, which is also the western terminus of the Bismarck-Mandan business loop. 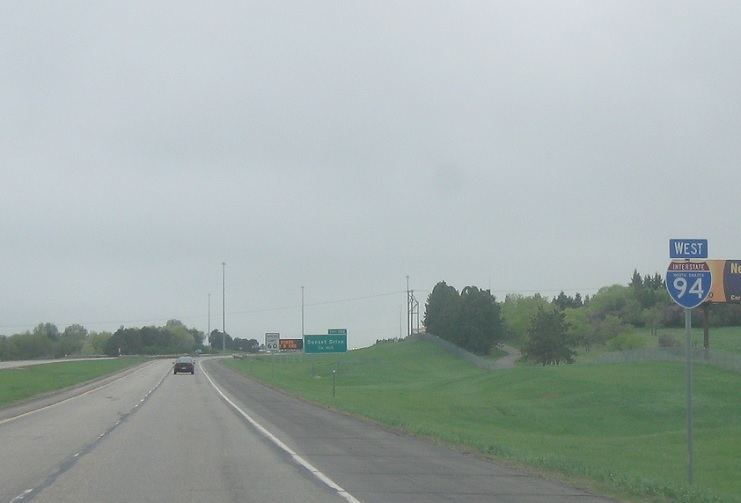 Exit for ND-25 and I-94 Business.